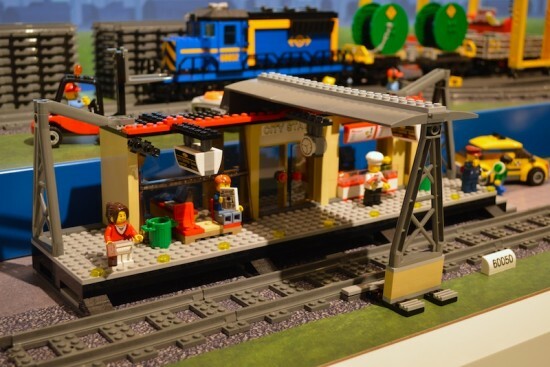 The LEGO 60050 Train Station is part of the new wave of City & Train related sets for 1H2014. 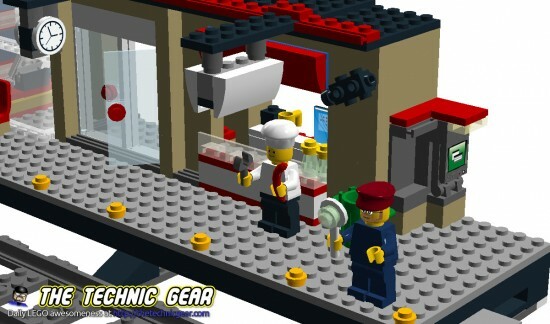 Build this awesome station before anyone with these FREE instructions. 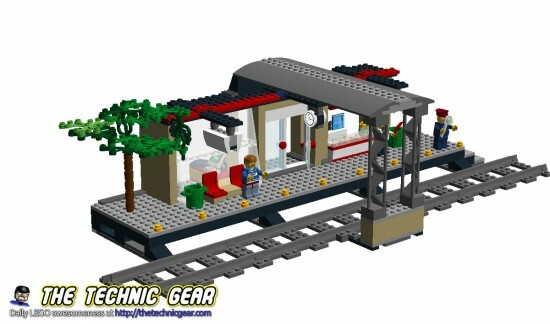 So yesterday, I learnt to use LEGO Digital Designer and launched myself to build a heavily-inspired model based on the 60050 Train Station. My very first MOD/MOC. 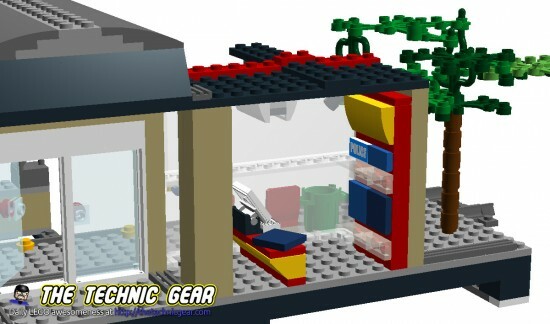 Here you have details of the back part of the model, where you can see the LEGO Shop and the computer over a nice table. On the left side you have the restaurant. The blue tiles attached to the wall are LEGO boxes and the yellow slope would have a cool LEGO sticker. And here you have the station chief and the chef with a sausage. Notice the security cameras and the ATM machine on the side of the station with its own light. 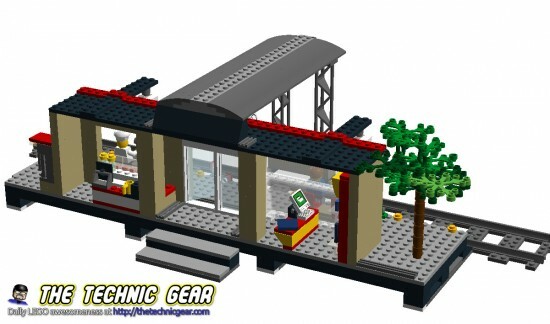 Keep in mind that this is not a LEGO Official Set and that it is prone to change when it is released, also the official set had several stickers and tiles that I haven’t been able to find.